TfL have launched a new and improved Business Engagement website where you can find information on the support TfL offer employers in London to encourage their staff to be active, sustainable, and travel safely and efficiently. Get in touch if you would like to know more about any of the offers or have any feedback on the new site. Many Londoners will have noticed the new segregated cycle superhighways in central London are nearing completion, with large parts of the East-West and North-South routes due to open next month. Is your business located near one of the routes, or do you have staff who are likely to commute along them? Register for Cycling Workplaces to get free support for employees who currently cycle or would like to try cycling to work. Roads in several parts of London will be significantly busier than usual as a result of major roadworks happening this month. If your staff or visitors travel through impacted areas, journeys may take longer than usual, particularly during peak times. Road users are encouraged to check before they travel to avoid congestion. Visit the TfL Travel Advice for Road Users webpage to get detailed information on road impacts in your local area and expected journey times. Email: TfL with ‘Travel Advice’ in the subject line to get support for your business. Do you or your colleagues ride a motorcycle or scooter? Whether it’s to commute to work or purely for pleasure, claim free one-to-one motorcycle training courtesy of TfL and Croydon Council. You or your colleagues will get a two-hour session with a qualified instructor, who will meet you at your preferred location, assess your riding on a route of your choice and help you to build your confidence and improve your riding skills. All abilities are catered for – attendees will need a scooter or motorcycle and a valid licence or CBT certificate. CBT Commuter Skills motorcycle training is currently running as a trial and is available free to anyone who lives, works or studies in the London Borough of Croydon. To book, email bookings@teachmetoride.co.ukor call 020 8819 4231. For more information, visit croydon.gov.uk/CBT-Commuter-Skills. 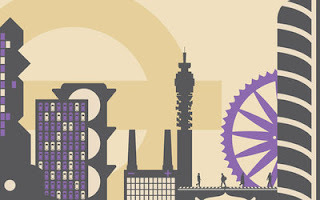 TfL has published an online list of consolidation centres in London. This is to help the construction logistics industry make efficient deliveries, helping to reduce construction costs and improve road congestion and air quality. 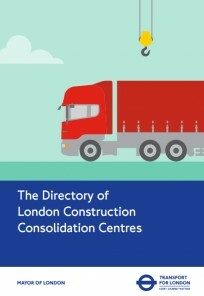 This is the first directory of construction consolidation centres in London. To find out more about consolidating your organisation’s deliveries, visit the TfL deliveries pageor contact freight@tfl.gov.uk. Planning your cycling route in London is now even easier thanks to new additions to the TfL Journey Planner. There are a number of new features which will help people plan a commute along a route they prefer; whether that’s quieter, quicker, or avoiding steep hills. 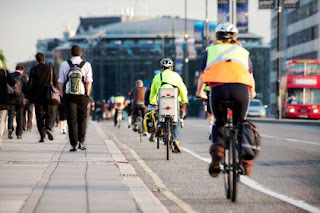 Try the Journey Planner and find out more about cycling in London. 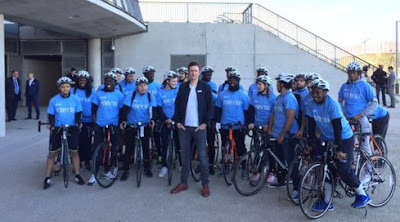 Sir Bradley Wiggins has launched the Prudential RideLondon-Surrey 46 – it is the newest addition to Prudential Ride London – the festival of cycling. Taking place on Sunday 31 July 2016, the day after FreeCycle, this route is open to anyone 16 or over. It has been created specifically for newer and younger cyclists to encourage them to enter their first mass participation cycling event. The public ballott entry system is now open and closes when either 15,000 riders have registered or on Thursday 28 April, whichever is earlier. The cost of entry is £39. Enter the ballot here.